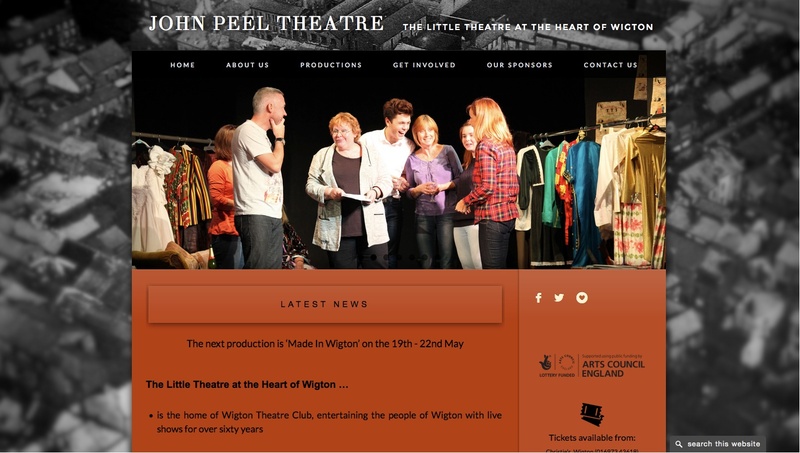 The last few months have been a blur of activity working on a brand new website for the Wigton Theatre Club, who own and run the John Peel Theatre in Wigton, Cumbria. It has been a very exciting project because this is the first time the club has had any web presence (aside from a recently established Facebook page) so the entire site structure was open for ideas. It also meant that the project included helping to develop the theatre’s brand and identity. The theatre itself was simultaneously undergoing a refurbishment and we had a unique opportunity to closely match the website to the theatre’s new look. The brief was to keep the best of traditional theatre whilst bringing the feel right up to date. There had to be a balance between information for the public and attracting new members and supporters.